Many of you may already know Robin Duncan. Robin trained with me side by side in the first DVD that I ever filmed back in 2008, "The Ultimate Body Sculpt and Conditioning with Kettlebells." Robin was in her early 50's during the filming. I remember that day like it was yesterday. We ended up filming for 16 hours in 110 degree weather on top of a building downtown. It just happened to be one of the hottest days in LA. She was such a trooper! 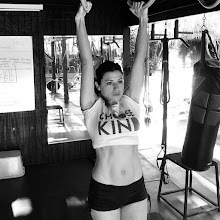 I wanted Robin in the DVD not only because I admired her strength, beauty, and youthfulness, but I wanted to show other people in their 50's, 60's, and 70's that they too can use kettlebells this way. Before working with Robin I was very enthusiastic about trying to convince my older friends and clients in their 50's and 60's, that training with kettlebells properly is a must! Many would say things such as, "Lauren, as you get older you just have to accept the changes. Our bodies get weak and I will never be thin like I use to be, it's a part of the aging process. 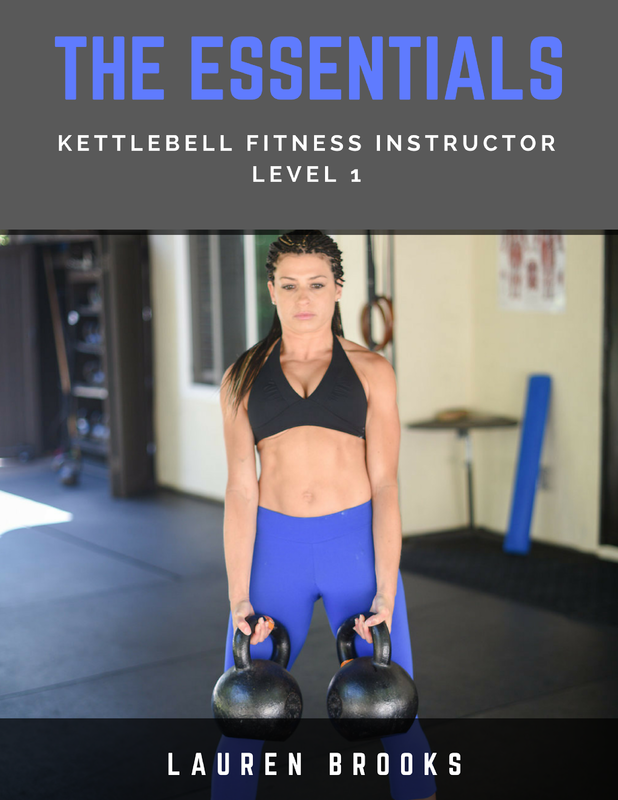 Kettlebells are for young, strong individuals like yourself." To be honest, I was sick and tired of hearing this negativity that we had to accept weakness, sickness, weight gain, bad backs, just because of our age. Why should we accept and let our bodies deteriorate if we don't have to? Once you make up your mind and tell yourself you are too old for this and for that, what's the point? Truthfully that's creating a barrier for yourself and not letting you live to your fullest potential, it's basically giving up. That's why having Robin in my life, as a role model, has been such a breath of fresh air. Prior to meeting Robin I was lucky enough to teach a few positive thinking ladies in their 60's one or two kettlebell exercises. They loved it, became stronger than they ever had been before, but still had the mindset of wanting a more gentle routine due to their age. Then I met Robin! Below, Robin will share her story. Robin is now in her mid 50's is still going strong and has never looked or felt better!! My path to overall health has been an interesting journey. For most of my adult life I was a runner, competing in half marathons and routinely placing in the top 10 women in my age division. This was my life and my identity. But a series of running injuries sidelined me. I did not know where to turn. I thought I needed running to feel strong, maintain my weight, and deal with stress. 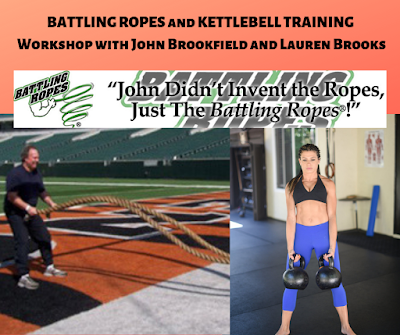 In desperation, I hired Lauren Brooks as a personal trainer to give me some tools to stay fit, just until I could run again. At the time, Lauren was just starting to use kettlebells so I was one of her first devotees. I was hooked! Bells made me stronger, leaner and more overall fit than ever, and I wasn’t beating my body up the way I was with running. Yet, I’m stubborn so I kept trying to ease back into running, but my body just wasn’t having it. So after over 25 years of pounding the pavement, I hung up my running shoes. This didn’t happen overnight. I had to injure myself a few more times before I gave up the fight. Now I take long walks (trying to incorporate hills and sand) and do kettle bells with Lauren. 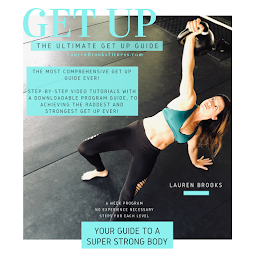 I love working with Lauren, and how she is a life-long learner of fitness and constantly adapting and making her training better all the time. A few years ago, I got my yoga certification as well. The most important thing that yoga taught me was to listen to my body – the breath, my mental state – all of it is crucial in maintaining overall health. I feel strong, lean and youthful. People routinely stop me to ask what I do to defy the years. I tell them it is never just one thing! 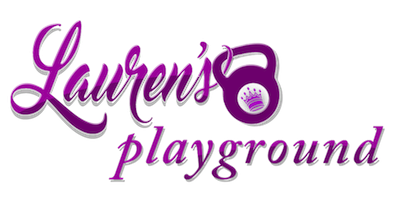 I have also learned so much from Lauren about nutrition and supplements. I love food, but I am a nut about whole food, organic, and as unadulterated as possible. Give me an organic kale salad drizzled with olive oil, a squeeze of lemon and a handful of cashews and I am a happy camper. I do eat chicken occasionally, and love fish – especially sushi, but the bulk of my diet is raw and green. Hungry mid-afternoon? I grab a handful of almonds, or make a protein smoothie with almond milk, spinach and half a banana, or dip rice crackers into raw garlic spread (available at Jimbo’s and Whole Foods). I try to avoid gluten and sugar because I just feel better when I don’t eat them – I really don’t have a sweet tooth so it is not too hard for me; however, a few bites of dark chocolate after a meal is a nice treat. Now in my mid-fifties, I feel like I really have a handle on the right combination for my body – and I also know that life is about being flexible. What worked for me in my twenties, might not work in my fifties, but staying fit, looking terrific and feeling good are something I can have at any age. Thank you so much Robin for sharing this story with everyone. I often get emails of people telling me that Robin is the one that inspired them to try kettlebells. Even people in their 40's start using the "old" excuse, but upon by seeing Robin, it took all excuses away. Being that the first kettlebell DVD, is still my #1 seller, I have also had many people ask and wonder what Robin looks like now. Coming from everyone who gets to train with her regularly, we are all in awe of her timeless body, mind, and spirit of a 20 year old! We know that age is just not a reason to have an excuse. We create our own boundaries and limits! Thanks again Robin for being the role model and inspiration we all need in our lives!! Awesome and very inspiring story!! Robin looks fabulous-keep it up!!! Awesome and very inspiring!! Robin looks fabulous- keep it up!! 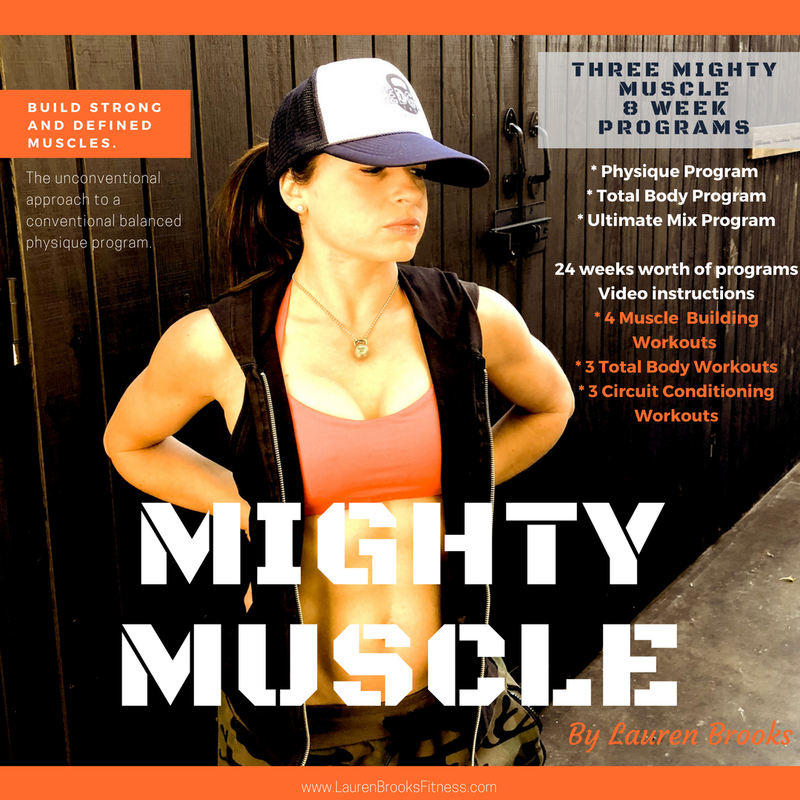 I would love to learn more about this inspiring woman`s workout routine! Dies she use kettlebells for a more cinditioning kind of workout or for strength ("hypertrophy") training? I would love to know exactly what to do to look that great when I am in my 50s! 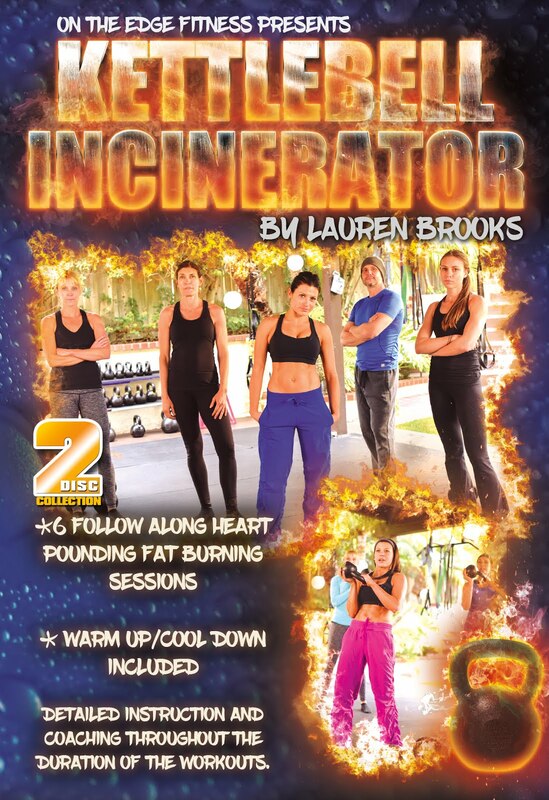 I recently purchased two of your DVDs and was wondering "Who is this woman working out with Lauren?" Thanks for this post about her. Robin is an inspiration! My other inspiration who defies age and all those excuses is Ernestine Shepherd, the world's oldest female body builder at age 75! I am a 52 year old female and just started with kettlebells a few months ago. I love them! 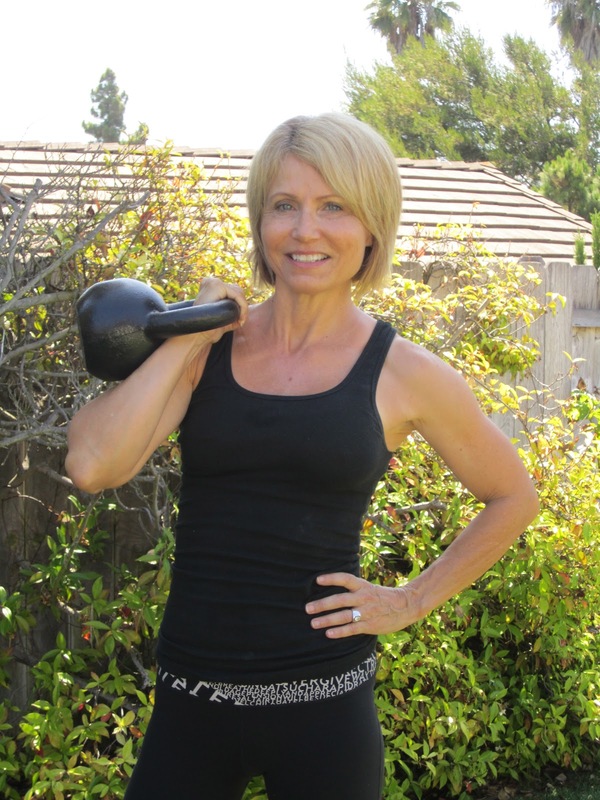 Kath, It's wonderful that you are starting kettlebells at 52. It is great to have inspirations and role models you can look up to. Thank you for sharing. Please keep us posted on how you do! I'll have to look up Ernestine and check her out. Take care! Thanks, Lauren! Between the KBs and clean, lean eating I am starting to feel great again! This is a link to Ernestine's web site, but you can also just google her. I'm so glad you posted this! 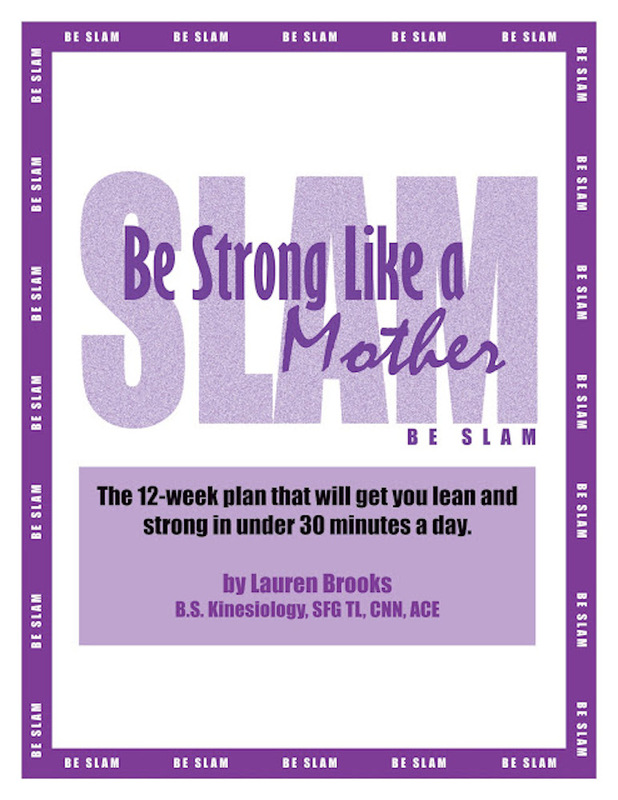 When I bought your DVD a few years ago, I remember thinking - "wow, the background exerciser looks great, I wonder how old she is"
I would love to know what a typical week's training looks like for Robin as well as a little more detail to how/what she eats. It sounds like she leans towards vegeterian? I have been trying to transition for the longest time but have not been successful so it would be great if she could share what a week of eating might look like for her. Maybe you could follow up this post with the above suggestions? Wow! I didn't know she was in her fifties - she looks amazing! 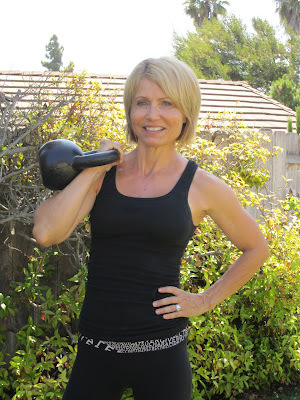 I'm 58 and didn't think a thing about trying your kettlebell workout because of my age. I love it! Thank you for sharing Robin's story. I love that you included her in your first DVD. It takes away all of my excuses for sure! And I would not have known that you both were filming during 116 degree weather! Not many women would look that attractive and have that kind of stamina in that kind of heat! I recently purchased Lauren's DVD. It was just what I was looking for some cardio and strength training combined. I am 50, soon to be 51 and I was so glad to see Robin. I have the nice round menopausal belly that I want gone. I eat healthly, I read food labels like crazy, doing all of this I know I can get rid of my menopot! Thank you Lauren and Robin. She's in amazing shape! And thank YOU Lauren for consciously including older women in your videos and thought processes. KBs give me the biggest workout out of everything I've tried ( I'm turning 48 at the end of March) and things that were heavy or awkward to carry or move are sooo much easier to lift and move. I love it. It's so sad those other women you mentioned couldn't get out of that girlie mindset, but at least they were involved in KBs! Between you and Karen Voight, I'm feeling stronger than I ever have.